Today we’re are focusing on unit 88 of the ABA course. 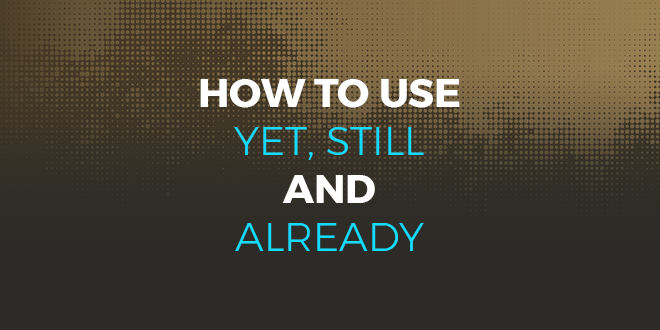 We are going to learn how to use “yet”, “already” and “still” correctly in English. We use “yet” to talk about something which is normally expected to happen. It also indicates that something has not happened up until a specific time in the present. “Yet” is used in questions and negative sentences, and is often used with a perfect form. Has Mike left for work yet? Yes, he left early this morning. I haven’t seen this movie yet! She hasn’t gone to the gym yet. Remember that we use “yet” at the end of a sentence. 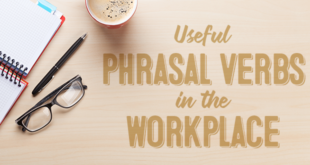 Now, let’s check out the use of “already.” We use the word “already” to ask or answer questions in the affirmative or to say that something has happened early, or earlier than expected. Have you been on holiday yet? Yes, I have already been on holiday. Has she cleaned the house yet? Yes, she has already cleaned the house. Have they found a new house yet? Yes, they have already found a new house. Notice that “already” goes between the auxiliary and the main verb in a sentence. I have already gone for a run today. She has already eaten her dinner. Claire has already arrived home. Lastly, let’s look at how to use “still” in the correct way! “Still” is used to say that something has not finished, often when we expected it to be finished. We’re still working on the project. He has still got a lot of work to do. Kate is still working hard on her project. I still haven’t seen that movie. 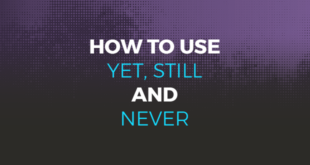 Remember that “still” usually goes between the auxiliary and the main verb. 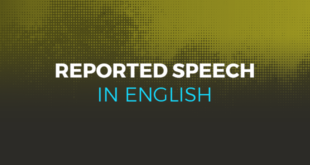 Did you know that in addition to the ABA Journal, ABA English has a complete online language course with 144 units. If you sign up to the course for free, you will get free access to 144 videclasses ranging in level from beginner to advanced.